Board Game Basics – A Closer Look at Co-ops — GamingWithSwag.com - Dads By Day, Gamers By Night. Cooperative games, or co-ops for short, are a category of games that are currently experiencing a high level of popularity. In co-ops, players work together to play against the game itself, which normally uses some sort of card or book driven artificial intelligence. This provides an experience unlike most games out there, in that players have the ability to work together and try to “outsmart” the game itself. You can break co-ops down a little further by separating them into a couple sub-categories First you have pure co-ops, in which there zero conflict between players outside of puzzling out the correct plays the group should make. Next you have semi-co-operative games, in which the players either work together most of the game but there is still only one winner or where all the players are playing against one other player. Finally you have co-ops with a traitor mechanic, these are similar to pure co-ops except there is more hidden information because one player could secretly be playing against the rest of the group. common complaint that people have with them is that the best player at the table will often just see the correct way to beat the game and end up playing for everyone. Semi co-ops and games with the traitor mechanic help negate this but also take away some of the pure group puzzle experience. More then most other types of games, co-ops really require a group that's on the same page as far as what they want out of a game. I've went ahead and listed my top 5 co-ops below. This is not a comprehensive list by any means, just my recommendations based on my own tastes. I really love these games and hopefully you will too! 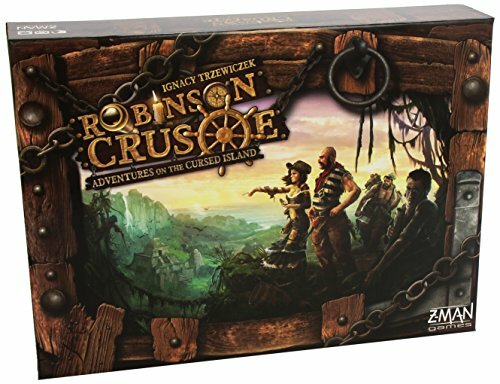 What is it: Don't let the title fool you, this game is really more then just Robinson Crusoe. There are actually six very different "trapped on an island" scenarios that use the same basic game system. In this one, players use a worker placement mechanic to gather resources, build items/shelter, and stay alive. Why I love it: In addition to being very challenging, the game feels like it's telling a story through its event cards. Every turn you draw an event card that has some (usually negative) effect on the game. As you play you'll draw encounter cards that will often times give you a choice of taking a bonus now and shuffling it into the event deck where it will come back to haunt you in a later turn. Taking a shortcut building your tree house to save on materials sounds great until it comes crashing down due to shoddy workmanship three turns later. 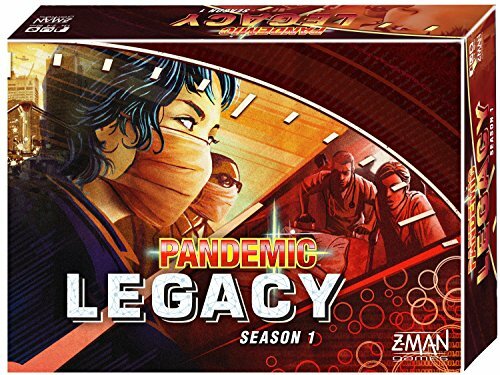 What is it: The current number one game on Board Game Geek, Pandemic Legacy is a variant on the already hit game Pandemic, that is only meant to only be played a limited number of times. As you play you write on cards, put stickers on the board, and physically modify the entire game making it unique to your experience. Will your team of researchers be able to cure the deadly super virus ravaging the world or will you fail and cover everything in the box with foreboding bio-hazard stickers? Why I love it: It's no secret to anyone that knows me, that I am not a fan of the original Pandemic, so what makes this game so much different then the original? First, the uniqueness of having your group's play through of the game be different then anyone else's makes this far more interesting then the original. In addition to this, the game play itself gets gradually deeper and more rewarding every time you uncover something new. Lastly, the campaign style game play means that your decisions have a much greater weight than they would playing any other game. It's not only a disappointment to lose a game of this, it also impacts future games as well. What is it: The hands-down, must play game for Marvel fans. Each player takes turns playing cards from their personal deck to either recruit more hero cards to their deck or defeat villains attacking the city. Once players are powerful enough they can try to defeat the evil mastermind before they finish enacting their sinister scheme. 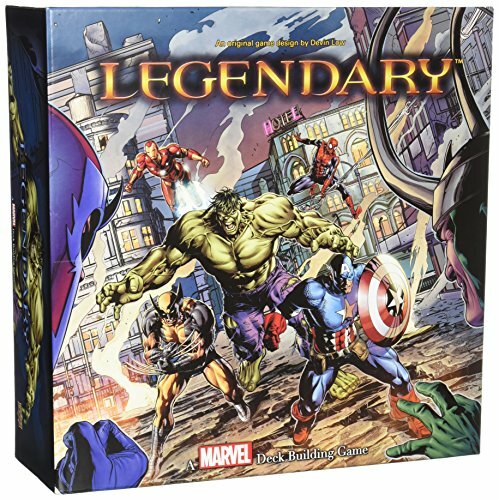 Why I love it: As a huge fan of Marvel comics, this game instantly appeals to me on a flavor level but the game play itself is fantastic too. Once you get the hang of it, turns move fluidly and if you are having trouble you can scale the difficultly by fighting an easier mastermind. On top of this the game has a very large amount of expansions, meaning the options are endless. 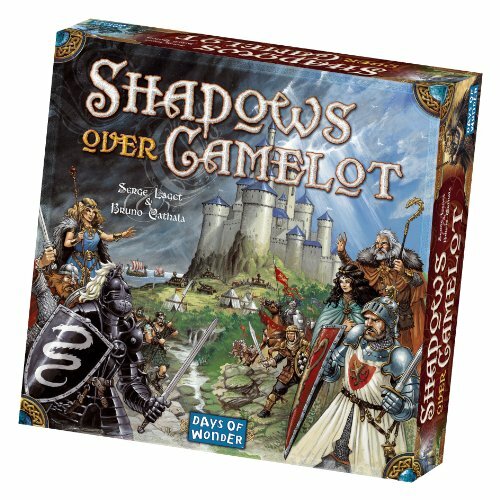 What is it: In this one, players control King Arthur and the Knights of the Round table who are questing to stop the forces of evil from taking over the land. Players take turns secretly laying cards down to complete various challenges on the board before evil overwhelms them. However, in addition to racing against the clock to win, your also fighting against paranoia because there is a chance every game that one player is traitor and will only win if everyone else loses. Why I love it: There is a very strategic risk assessment aspect to this game when choosing which quests need to be taken care of first. When you combine the already challenging game play with the fact that one player might be secretly playing bad to sink the team, it lends itself to a very tense and exciting experience. Cons: Some players may not like the fact that they have to not only worry about beating the game, but also figuring out which of their friends are lying to them. hyperspace into hostile territory and you have to survive 10 minutes of enemy attacks before being able to jump to safety. Each game is played in real time along with a 10 minute timer that tells what treats are attacking the ship on what turn. During the game, players simultaneously place action cards on 12 turn space, which are revealed in order after the 10 minute timer is done. These cards move around the ship, charge energy, and fire weapons. Players are allowed to discuss who is playing what actions, but, because of the limited time and constant barrage of attackers, it's easy to mess up and find out your ship was blown apart when walking through the actions in the post game sequence. 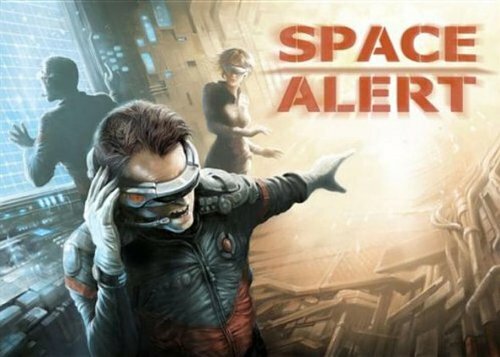 Why I love it: There is no other game that give the same fast paced, frenetic play as Space Alert. Each game is like being inside a pressure cooker but it's OK because, even with the post game turn recap, each game takes less then 20 -30 minutes to play. To make things even more nail biting, the expansion adds characters and campaign rules, so not only are you trying to not get blown up, you're try to not loose your beloved science officer who's already survived 15 games. Dead of Winter: Similar feel to Shadows over Camelot except it's got zombies and it's about 20 times more frustrating. Space Cadets: It's like Space Alert, but with 100% more weird mini games.